Fill in the map of South America by correctly matching the stereotype to each highlighted country or territory. Stereotypes based on Google autocompletes: "Why are ____ so..."
If you haven't noticed, this is an April Fool's joke. 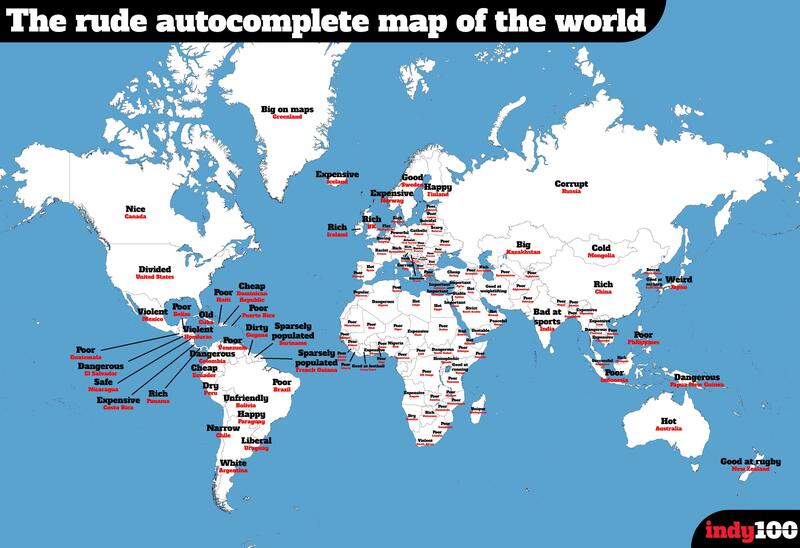 All of the stereotypes were taken from Google autocomplete, as in this map.